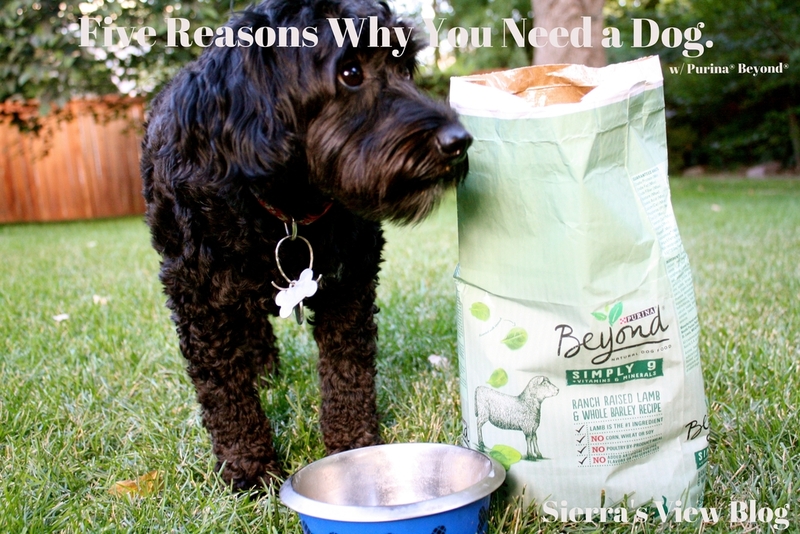 Sierra's View: Five Reasons Why You Need a Dog. 1. It's fun to spoil a dog. See, with kids you can kind of spoil them, but not really, because you don't want them to be brats. 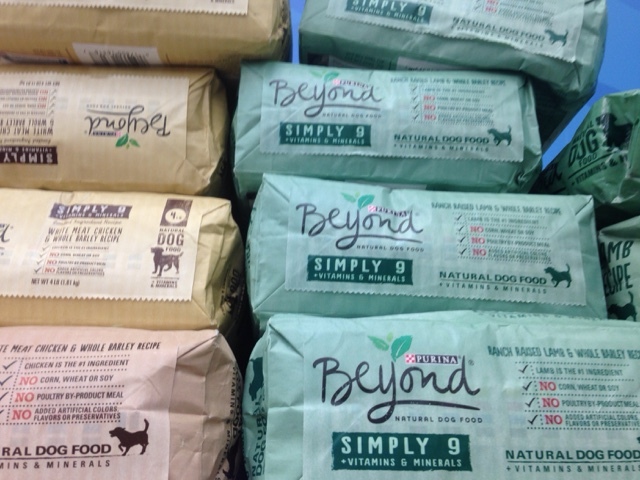 But with dogs, you can spoil them as much as you want. You can give them treats and cuddles and let them sit on your lap in the car. It's like being a grandma except this "kid" doesn't talk back. 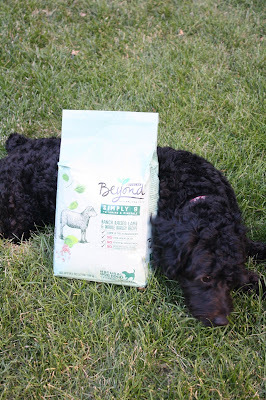 I love spoiling Saylor with Purina® Beyond® Grain Free pet food. She LOVES the Ranch Raise Lamb recipe because, well, MEAT! 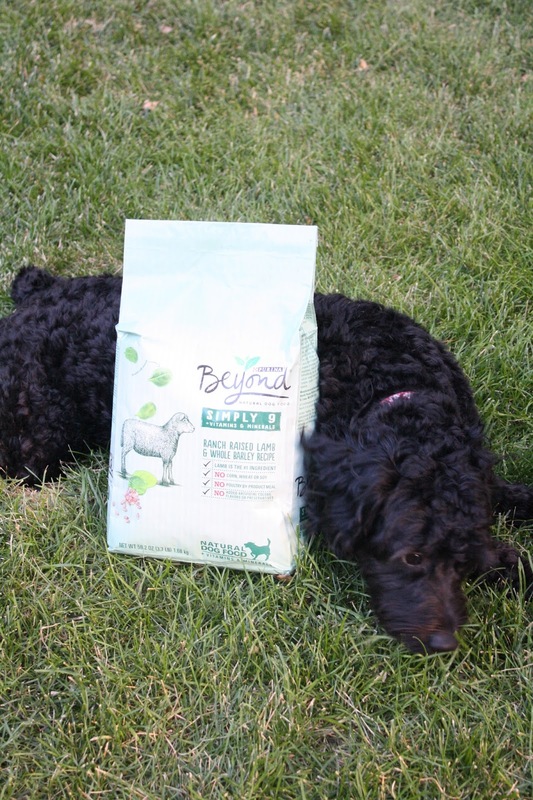 Because of her mix, she is allergic to grain (diva) so we love to give her this food that doesn't upset her stomach and this works great. 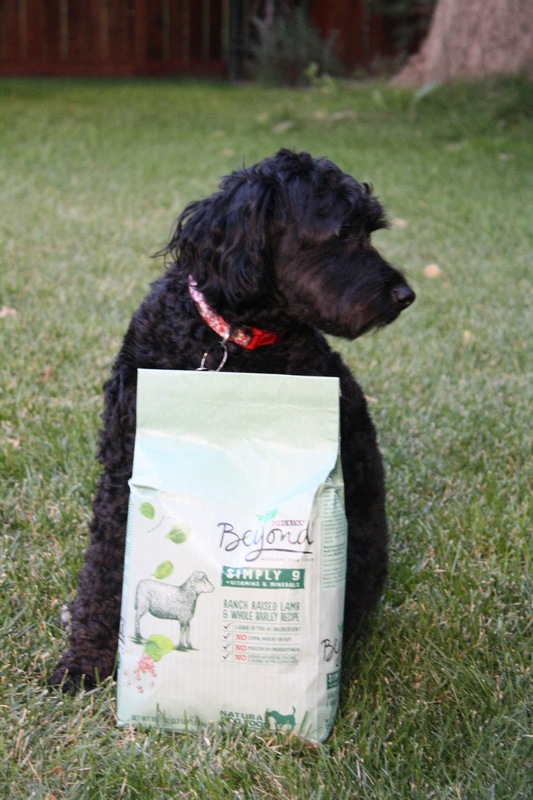 It has all natural ingredients and includes real meat--which is Saylor's favorite. 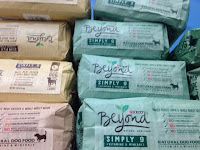 H-E-B is my preferred retailer for Purina® Beyond® Grain Free Dog Food. 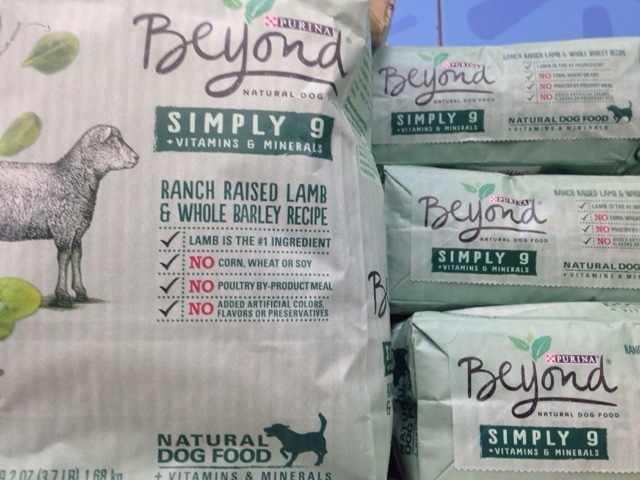 You can find this product in the "Dry Dog Food" Aisle of your local H-E-B. Mine was located at the top of the shelf. 2. Sometimes dogs are cuter than kids. I mean, come on, guys. Let's be real here for a second. There are a LOT of beautiful children (AKA anyone in my family…duh), but there are also some really unfortunate looking children. As of right now, I don't know if I'm willing to take the chance of having an ugly kid, people. Because it could happen. If that child gets Tanner's teeth with my mouth…not good. Anywho, you can choose a dog that is as adorable as Saylor. She's a mini aussie doodle and she's kind of the prettiest dog out there. 3. Dogs love you more than anything. I leave the house to take the garbage out and I come back in and she's just as excited to see me as if I left for ten hours. I can't tell you how awesome it is to have an animal adore you no matter what you do. It's amazing. 4. You have an excuse to get outside. I love having a dog because even if I don't have time to do an excessive hike or go to the gym, I always walk my dog. She loves to be outside so I get that time to walk her and get some fresh air myself. I love having a buddy that goes on hikes, walks, and hangs outside with me when I'm reading in my hammock. 5. It brings your family closer together. I know this sounds weird, but Saylor has brought us closer. We love to take her on walks together, we love to play with her. I swear…42% of our conversations revolve around having a dog. (I didn't know you could talk about a dog's poop so much?). She is so fun to have around. If you have kids, the kids all play with her together. It was so funny to watch all of my nieces and nephews play with her this past week. They all wanted to give her commands, lay on her, play fetch with her. Yes, I know. Go have a kid. blah blah blah. 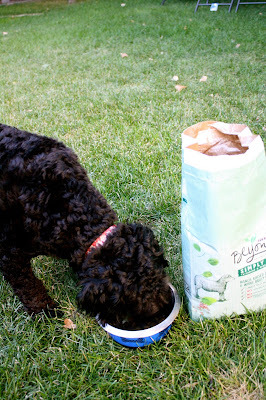 What are some other reasons why you love your dog? 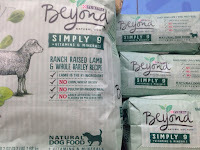 Labels: #ad, #cbias, #PetsLoveBeyond, #saylorthepup, dog, Grain, Grain Free dog food, Grain Free pet food, miniaussiedoodle, Natural ingredients, pet, Real meat. Yessss! Getting a dog is the best decision! The only way to keep dog parks is to elect council representative who understand the value of dogs. Please find out which ones are dog aware and make your vote count. 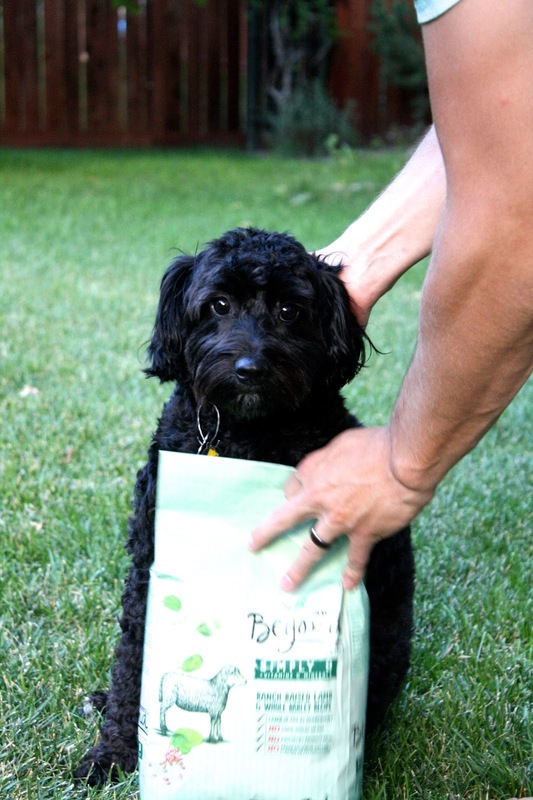 In the event that you are searching for help treating your dog's behavioral issues, or only inquisitive concerning why your dog does what he does, at that point this Behavioral Series is for you. This fragment centers around why dog snarl. All in all, for what reason do dogs snarl? I find https://pawsometalk.com/ this very good website about the pet. You can visit this site.